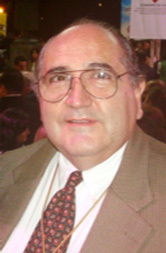 German Beltran, MD began his medical career in 1955, after receiving his medical degree from the Universidad Nacional de Colombia, in Bogota. He went to New Orleans in 1957, where he continued his graduate medical education as an intern and residence at Ochsner Foundation Hospital and a Fellow in Hematology and instructor in internal Medicine at Tulane University School of Medicine. Dr. Beltran returned to Colombia in 1962, where he served as an instructor and Assistant Professor at the Universidad del Valle School of Medicine. By 1965 his mentor Dr. Charles C. Sprague invited him to return to Tulane as an Assistant Professor in the Section of Hematology and Medical Oncology. By 1977 Dr. Beltran had to become a full Professor. Over the next 25 years, Dr. Beltran accepted several administrative appointments, including Program Director of the Department of Medicine Residency Program and Acting Chief and Director of Training in the Hematology and Medical Oncology Section. On his retirement he received the infrequent appointment of Emeritus Professor of Medicine. During his long tenure Dr. Beltran also served as President of the Medical Staff of the Tulane University Hospital, President of the Medical Staff of the Charity Hospital in New Orleans, and Vice Chair and Chairman of the General Medical Faculty, at Tulane. He was a member of several committees in the School of Medicine and the University Hospital and presided over several of them. His students, fellows and peers remarked on his interest in the education and training of medical students, resident and fellows, particularly at the bed side and in front of the microscope. Dr. Beltran was member of several regional and national medical and scientific societies and was Secretary/Treasurer and Chairman of the Southern Blood Club, an association of academic hematologists in the southern states. He published over forty full length manuscript and abstract in peer reviewed journals and co-authored a chapter in Laboratory Medicine , G.J. 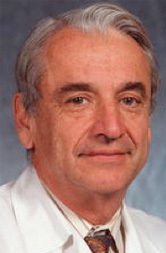 Race, Ed., He acted as Consultant to the Endocrine and Metabolism Advisory Committee of the Food and Drug Administration, Bureau of Drugs, U.S.A.
Dr. Beltran has an active Hematology and Oncology Practice in the Tulane Hospital and Clinics and served as a Consultant in numerous local and regional hospitals, including the Veterans Affairs Hospital at New Orleans. 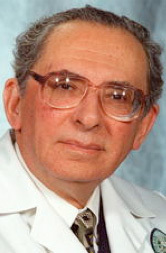 Dr. Isidore Cohn was raised in New Orleans in a prominent surgical family. He received his M.D. and D.Sc. degrees from the University of Pennsylvania. Many were surprised when he did not join his father in a busy uptown surgical practice at Touro Infirmary, but instead was recruited to a full-time position at LSU by Dr. Rives in 1952. Upon Dr. Rives retirement in 1962, Dr. Cohn was named Professor and Chairman of the Department of Surgery, a position that he held continuously for 27 years. His tenure is among the longest of any major surgery department head in the history of modern post-graduate training. More than 200 surgeons have completed residency training under Dr. Cohn’s direction and have made major contributions to surgical care and surgical education throughout Louisiana and the United States. He served as president or director of many surgical organizations, but perhaps is most proud of being named President of the Southern Surgical Association in 1983. In June 1987 The Isidore Cohn, Jr. Professorship of Surgery was dedicated, the first million dollar chair at LSU Medical School. When Dr. Cohn stepped down as Chairman of the Department in 1989, Dr. J. Patrick O’Leary became the first Isidore Cohn, Jr. Professor and Chairman of the Department of Surgery. As emeritus professor, Dr. Cohn continued his teaching and lecturing, as well as offering sage advice and counsel to all that sought it. 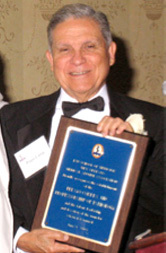 A “Retirement “ Gala in July 2000, where he was named Emeritus Chairman, was attended by past residents, faculty, administration, family members, and a number of prominent surgical leaders from across the country. On March 22, 2002 The Isidore Cohn, Jr., M.D. Learning Center was dedicated. Former surgical residents and The James D. Rives Surgical Society were the major donors to this cutting edge facility. Although heavily damaged by the floodwaters of Hurricane Katrina, funds have now been secured to allow not only repairs, but enlargement of the Center, insuring its place as a lasting tribute to Dr. Cohn’s 55 years of dedicated service to LSU and his commitment to excellence in teaching and surgical care. Construction is currently underway for the new and expanded Isidore Cohn, Jr., M.D. Learning Center on the Sixth Floor of the Lion’s Eye Clinic. It will be directly above the Center of Advanced Practice (which was opened in January 2008). The new Isidore Cohn, Jr., M.D, Learning Center is scheduled to open in Spring of 2009. It is because of this rich history of service to LSU and Dr Cohn’s commitment to education that the decision was made to change the name of the society to the Isidore Cohn Jr.-James D. Rives Surgical Society. This was done not only to honor Dr Cohn but to perpetuate the society and continue the goal of fostering camaraderie among its graduates. Dr. Correa studies pathology and epidemiology of gastric cancer and pre-malignant lesions. M.D. Universidad de Antioquia, Medellín, Colombia. Anatomic pathology Residency: U. de Antioquia and Emory University, Atlanta, Georgia. Pelayo Correa was born in Sonson, Colombia on 3 July 1927. He received his MD in 1949 from the Universidad de Antioquia in Medellin and served on the faculty of the Universidad del Valle School of Medicine in Cali from 1954 until 1970. He was a Visiting Scientist at the US National Cancer Institute from 1970 to 1973, and then joined the faculty of Louisiana State University Medical Center, New Orleans, where he was Professor of Pathology from 1974 through 2005. 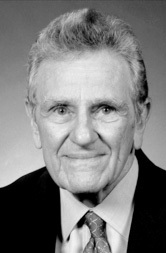 In 1996 he was designated as a Boyd Professor, the highest academic rank in the LSU System. After retirement from LSU he joined the faculty of Vanderbilt University Medical Center where he continues to do research. Dr. Correa is the founder of the Cancer Registry in Cali, Colombia, the first population-based registry in Latin America, and was a leader in the development of the SEER Louisiana Tumor Registry in New Orleans. He is the author of over 500 publications and is the Principal Investigator of an NCI Program Project on the etiology of gastric cancer, which has been continuously funded since 1980. He has received numerous awards and honors for his seminal contributions to the natural history of gastric carcinogenesis. Boyd Professor of Pathology, Louisiana State University Medical Center, December 1996 2005 Director, Stanley S. Scott Cancer Center, Louisiana State University Medical Center 2005 Professor; Anne Potter Wilson Endowed Chair in Cancer Research; Anatomic Pathologist Present Dr. Correa was recruited to VUMC and VICC in 2005, thanks to being awarded the Anne Potter Wilson Chair in Cancer Research by VICC. His PPG (Etiological Studies of Gastric Cancer) is in its 24th year of continuous funding. His seminal work identified and defined the precancerous stages of gastric cancer. Instrumental in the renewal was a GI SPORE pilot project that enabled him to conduct field-work in Colombia and assess the effectiveness of chemo-preventive strategies using Vanderbilt laboratory resources. 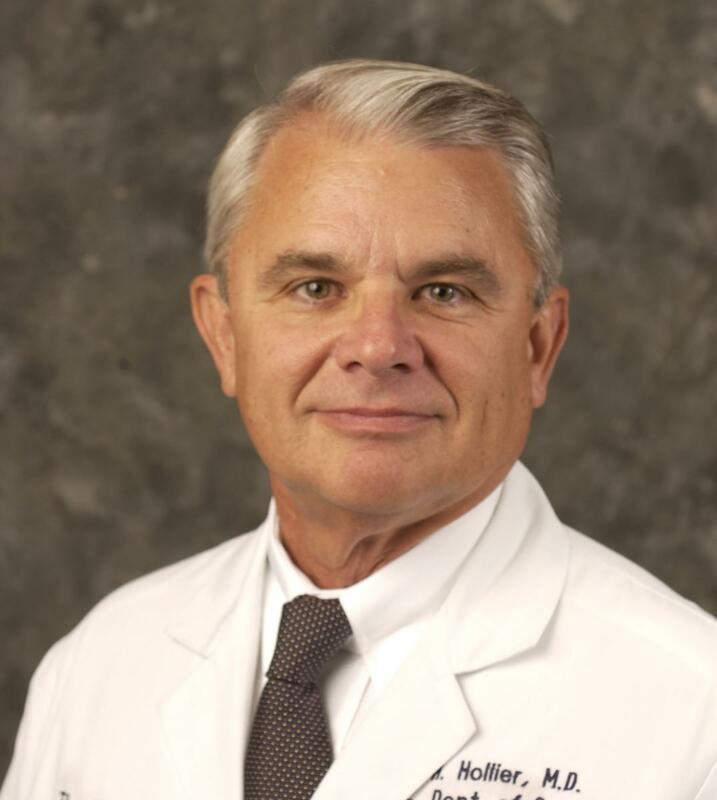 Dr. Larry H. Hollier has served as Chancellor of LSU Health Sciences Center New Orleans since November 14, 2005. Comprising six health professions schools, LSU Health Sciences Center New Orleans educates Louisiana's health workforce, research scientists, and public health policymakers. Appointed Dean of the School of Medicine of the LSUHSC in New Orleans, LA. During the first 18 months, I reorganized the Dean’s office and redefined fiscal control of the SOM. Mission based budgeting has now been implemented, aligning pay with performance, and allowing reallocation of an additional $7 million to support the basic science and translational research effort. As a result of the increased growth of research, our NIH funding has increased over 50% in the last year. The LSU Faculty Practice (LSU Healthcare Network) is being reorganized and downsized. The Healthcare Network has now been moved under the authority of the School of Medicine and is no longer allowed to operate independently. A new Chief Operating Officer has been appointed for this entity and new guidelines imposed, with beneficial results. The day after Katrina struck New Orleans, I and the other Deans of the LSUHSC set up a command center at the LSU Systems Office in Baton Rouge and began preparations to temporarily relocate the Schools to Baton Rouge. The Schools were able to resume classes in Baton Rouge 4 weeks after the storm, with high attendance by the students. Additionally, I oversaw the provision of housing for hundreds of displaced students and Faculty, arranging for trailers and a Baltic Ferry to be made available for them in Baton Rouge. Over 400 residents and 300 students were reassigned to undamaged facilities and were back working within less than 4 weeks. We have been in the process of restoring our campus buildings and began reoccupying them in January. On the Clinical front, LSU lost 5 of its major teaching hospitals in New Orleans, resulting in a loss of over $78 million from the budget of the SOM and an overall loss for the Health Sciences Center of over $180 million. We implemented a turnaround plan and achieved a reduction in force, with removal of over 1900 staff FTE’s and 270 faculty, with an expected savings of over $28 million annually. Additionally, new contracts have been developed with other hospitals in New Orleans and Baton Rouge to create new teaching hospitals for faculty, students and residents. The remaining shortfall was covered by negotiating with the Louisiana legislature, the Louisiana Commissioners of Education and Administration and the Louisiana Recovery Authority; I was successful in getting them to commit $50 million dollars to assure the survival of the Health Sciences Center.